Bernat and me: can you help with our new Fashion and Style gallery? 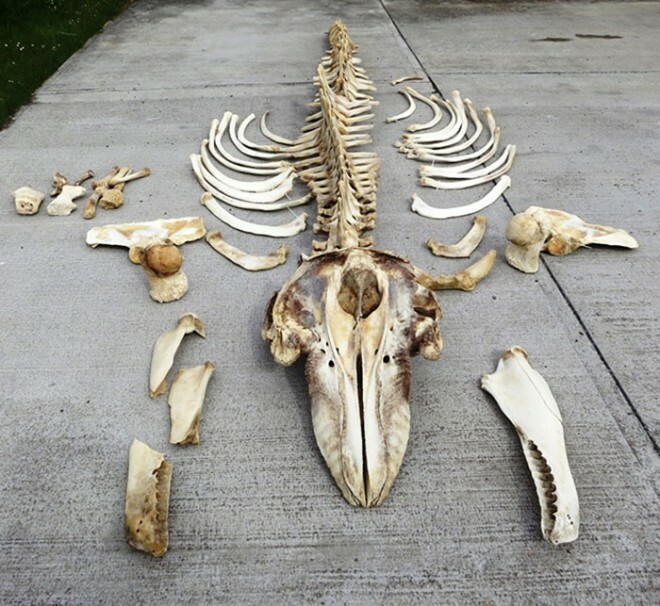 Early last year, my colleagues Alan Lothian and Georg Hantke travelled to South Uist to carry out the grim task of collecting the skeleton of a 7.8-metre-long male killer whale that had stranded on the shore below the Rangehead, near West Gerinish. Several months later the skeleton has been cleaned, curiously taking far longer than usual to get all the meat off the bones. But now that this mammoth task is complete, what did we find? Killer whale skeleton from West Gerinish, South Uist, Western Isles. From the appearance of the bone itself this animal appears to have been very old when it died. This is not surprising if it was part of the tiny resident population of killer whales from the Western Isles. Perhaps less than ten individuals survive and these have not bred for more than 20 years. It has been suggested that very high levels of PCBs (polychlorinated biphenyls) have become concentrated in their bodies by feeding on contaminated prey, and that levels are now so high it has caused them to become infertile. If so, this population, which is genetically distinct from others in the North Atlantic, will eventually become extinct. 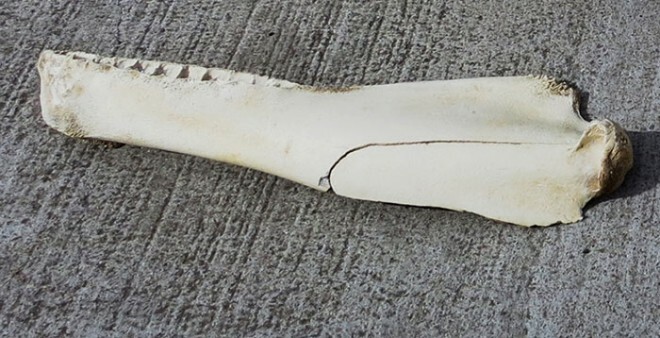 The killer whale’s broken right lower jaw. Now that the skeleton is clean, we can clearly see the dramatic breakages to the lower jaws. We don’t think these were caused when the whale was stranded, but were the result of some kind of collision, possibly with a boat. There is no sign of the bone healing, so we know that the breaks occurred just before or after death, and indeed may be the cause of death. There are different genetic groups of killer whales, known as ecotypes, which feed on different diets and rarely, if ever, breed with each other. Toothwear can vary dramatically from being almost completely unworn to being worn down to the gums. In the northwest Atlantic there appear to be two main ecotypes, one that feeds on marine mammals, such as minke whales, while the other has a more general diet, including herring, mackerel and seals. It has been suggested that suction feeding on fish causes this exaggerated toothwear. In the case of our killer whale, the teeth are pretty much unworn, which is characteristic of the Western Isles’ population, but we will have to wait for stable isotope analysis on its teeth to get an idea of its normal diet. Over the next months we hope to find out a lot more about the West Gerinish killer whale, including pollutant levels, age and diet, which we hope to report on in due course. 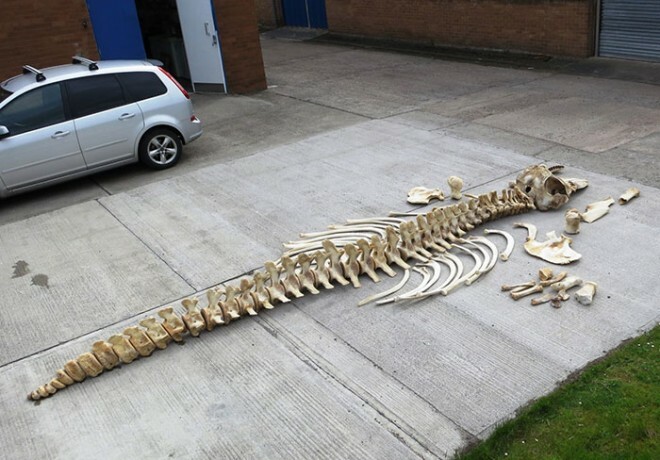 The killer whale skeleton laid out. The car shows how large it is! Meanwhile, we would once again like to thank all those who helped us collect the skeleton, in particular Bob Roper and his team at the Rangehead, and SeaWorld and Busch Gardens Conservation Fund for their generous financial support, which made it possible for us to collect this scientifically important specimen. We are very grateful to the Negaunee Foundation for their continuing generous support of our preparator, Georg Hantke. How do you collect a stranded killer whale? 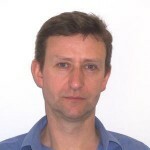 Dr Andrew Kitchener explains. When T.rex rocked in Montana!